Whatever we do, whether we like it or not, our bodies will change with age. In fact, every second as you’re reading this your body is changing. While most of these changes are internal and undetectable some are external and disturbingly visible. In fact, every second as you’re reading this your body is changing. While most of these changes are internal and undetectable some are external and disturbingly visible. Dolly Parton has a simple (but expensive) solution for the external changes ‘if I see something sagging, bagging or dragging I’ll get it nipped, tucked or sucked’. There is one simple solution. People can age more slowly and gracefully by remaining active throughout their lives. On the other hand neglecting your health can cause many aliments that will diminish your quality of life by restricting many day to day activities. Knowing what you can expect should encourage you to take whatever anti-aging steps you can to counterbalance the effects of the passage of time. Inspiring you to maintain a well conditioned, healthy body which leads to maintaining a young spirit and living an independent life. A healthy diet, regular exercise program, and positive attitude can help delay the onset, and slow the progression, of many age-related changes. As muscles age, they shrink and lose mass. This is a natural process, but a sedentary lifestyle accelerates it. The number and size of fast-twitch muscle fibers decrease significantly. Our 50’s muscles don’t respond like they did in our 30’s. The water content of tendons, the cord-like tissues that attach muscles to bones, decreases with age. Making the tissues stiffer and more likely to tear under stress. Hand-grip strength decreases, making it more difficult to accomplish routine activities such as opening a jar or turning a key. The heart muscle becomes weaker and less able to pump blood efficiently around the body. With the limited oxygen supply we take longer to recover and tire quicker. The body’s metabolic rate (the speed at which the body converts food into energy) slows. This can lead to high blood pressure, an increase in cholesterol levels, high blood sugar, chronic fatigue and weight gain. In healthy individuals, bone formation and resorption are in a state of balance. The age related variations in bone structure are related to the changes in this balance between bone formation and bone remodeling. After 30, the balance between bone remodeling and bone formation changes, resulting in a loss of bone tissue. In women this loss of bone density accelerates after menopause and bones become more fragile. The mineral content decreases, as the bones become less dense and more fragile. As bones lose mass, osteoporosis develops. Osteoporosis is responsible for almost all hip fractures in older men and women. Cartilage, which provides cushioning between bones, has less water content and becomes more susceptible to stress. As cartilage degenerates from a lifetime of use and neglect, arthritis can develop. Ligaments, connective tissues between bones, become less elastic. With the changes in tendons and ligaments motion becomes more restricted and flexibility decreases. Many of the changes in our musculoskeletal system result more from disuse than from simple aging. Less than 10 percent of Americans participate in regular exercise. The most sedentary group is older than 50 years of age. So there is no better time than now to start your anti-aging battle. Long-term regular exercises will slow the loss of muscle mass and prevent age-associated increases in body fat. Exercise also helps maintain the body’s response time, as well as its ability to deliver and use oxygen efficiently. Just 30 minutes of moderate activity, incorporated into your daily routine, can provide health benefits. Just 30 minutes of moderate activity, incorporated into your daily routine, can provide health benefits. But if you have never attempted an exercise program before, be sure to do a realistic self-assessment before starting out. Stretching is an excellent way to maintain joint flexibility. Weight training can increase muscle mass and strength, enabling people to continue their daily routine activities without major exertion. Moderate amounts of physical activity can reduce your risk of developing high blood pressure, heart disease, and even some forms of cancer. Fast convenient foods must be eliminated from your eating plan. Replaced by fresh fruit, vegetables and home-prepared meals. Be aware of the contents of the foods you pick off the supermarket shelves. Read the packaging labels and start understanding what you are eating. Accept that the transition may not be easy to break … old habits die hard. But look at the benefits both financial and health wise that you’ll gain through being more healthy. It’s strange that something we do about 23 000 times a day or 8.5 million times a year we generally do so badly! How many times a day do you fill your lungs and air passages with a full breath and then exhale completely? Apart from being a great stress reliever a deep, full breath increases the oxygen available to our bodies which increases our energy and reduces stress. It is accepted that for most people as they age they require less sleep (however this doesn’t apply to me!). I regularly go to bed at around 9 and rise at 5. Not always (very seldom actually!) having a full nights sleep but having my 8 hours in bed. There are a number of critical housekeeping functions your brain does during these hours so it’s advisable not to neglect them. 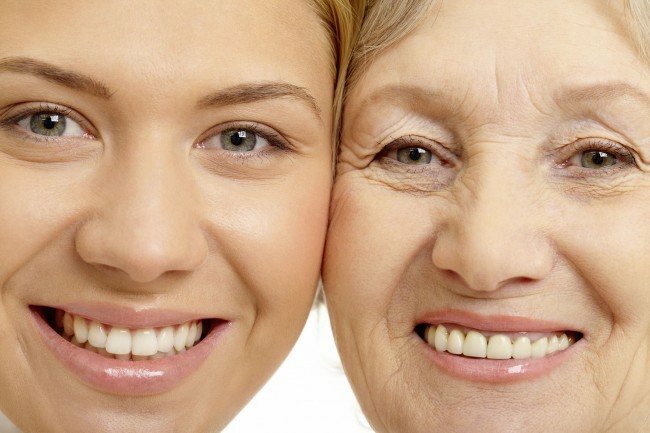 I’ll cover these anti-aging advice issues in a lot more detail in future articles so I hope you’ll join me in working through our step by step life changing process of aging gracefully and beautifully.